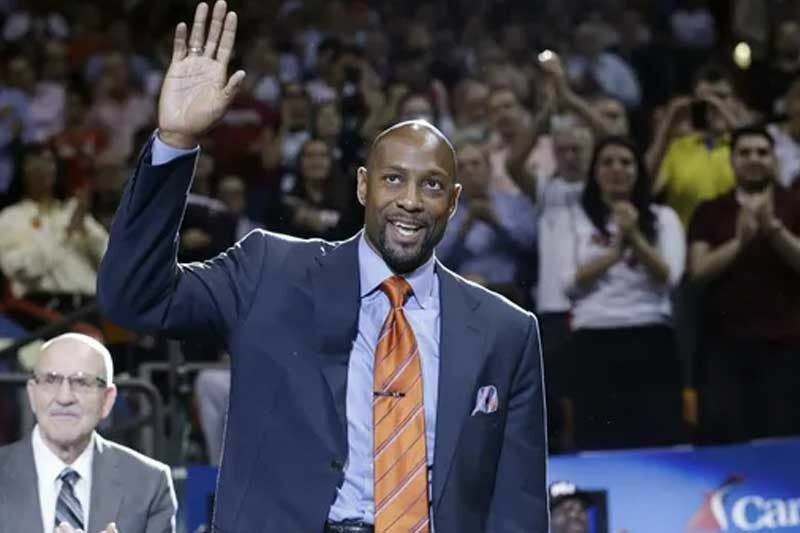 MANILA, Philippines — The NBA has brought in former NBA champion and Hall-of-Famer Alonzo Mourning in officially forging its partnership with its new official smartphone in glamorous ceremony at the Sofitel Harbor Garden Tent Thursday night. Mourning, who won an NBA ring with the Miami Heat in 2006, named an All-Star seven times and inducted into the Naismith Memorial Basketball Hall of Fame four years ago, made the announcement before top NBA officials that included its Phl managing director Carlo Singson. It was the first time that Mourning, who is also a two-time Defensive Player of the Year, visited the country and he was excited just to be here. “I was told that the Philippines has the best fans in the world and I was told about your food and cuisines which I would get to try for sure,” said Mourning.